Are your teachers planning lessons that are not translating to STAAR Success? This was a question that was asked in our “I taught it but they didn’t get it!” blog, which carries over to today’s blog. Remember the 3 Steps of aligning instruction we mentioned in the previous blog? We discussed the DOK levels and how not understanding the level of rigor of the standard can lead to misalignment in instruction and cause students to miss the mark. However, that’s not the only instructional component that must be considered. We must understand the learning expectation of the standard. Without us having a clear picture, how are students expected to learn it? 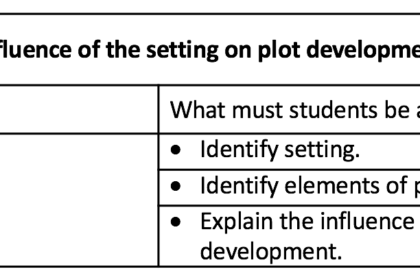 Reading – 7.6A Explain the influence of the setting on plot development. Looking at the previous example, are we teaching to the level of rigor of the standard? 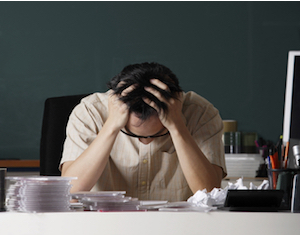 Without intentional planning for the standard, we create a misalignment. We can’t teach what we don’t know. Let’s deconstruct the standard to see where we missed the mark. This process will help us identify the required learning which we can translate to our learning targets. What must students KNOW and be able to DO? So if you notice, plot development (DOK 1) is only part of the standard. Without analyzing the standard, important learning skills will be missed such as know how the setting influences the plot development (DOK 2). Below is an example of an aligned lesson on this same standard. As you can see, deconstructing the standard and knowing the level of rigor (DOK) provides clarity on which skills and concepts should be learned, and improves alignment hence staying on target. Here is a template for teachers to use as well as a sample of the Stra-tiques Inside Outside Circle. Try it out and let us know about your experience! Previous I taught it but they didn't get it!